‘If you want one year of prosperity grow grain, if you want ten years of prosperity grow trees, but if you want 100 years of prosperity grow people.’ Chinese Proverb. 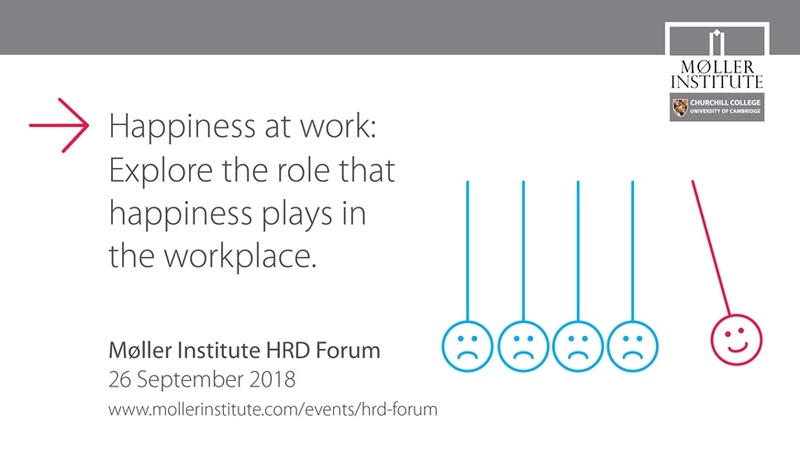 Previous forums have focused on employee engagement, happiness, viral change and mindfulness and are detailed below. Details of our next forum will be posted shortly. The HR Forum takes place in the Study Centre at the Møller Centre, Storey’s Way, Cambridge, CB3 0DS. This is an invitation only Forum developed by the Møller Institute team at Churchill College, University of Cambridge, for a select group of HR Directors and, facilitated by Møller Institute leadership development specialists to discuss approaches to the development of leaders within their businesses and organisations. We explore new and current approaches, best practice, the typical challenges we face and how we can best design and deliver high impact programmes and interventions that will bring about real change and demonstrate a return on investment for the business. We plan a series of interesting discussions, inform each other around what works and what doesn’t – and participants will leave with some new connections and sources of help and some good ideas to take forward into our future work. All events take place at the Møller Centre, Churchill College in the University of Cambridge. Group discussions in tables – how would the initiatives in use here work for your organisation/culture? Led by Møller Associate Jeremy Keeley. Viral change uses the power of a small set of well-defined non-negotiable behaviours, spread by small groups of highly connected individuals within the organisation. Their peer-to-peer influence – more powerful than hierarchical – creates new norms, new ways of doing and new cultures. We also heard from change agents within two organisations who shared their stories of the successes and challenges associated with this powerful concept. This forum focused on employee engagement and was led by Møller Partner (PSF) Ruth Berry, supported by Sasha Hardman, Global HR Director at international law firm Allen & Overy and Richard Bandell former CEO of Grass Roots, the world’s leading provider of employee and customer engagement solutions. Sasha shared with us what Allen & Overy have been doing to increase engagement through a variety of interventions, including a specific career conversations programme which is reaping real results. Carol Rosati OBE and Dan Gallagher discussed what steps and considerations should be made to engage employees on diversity, and talk to us about a practical method of tracking career satisfaction and engagement. 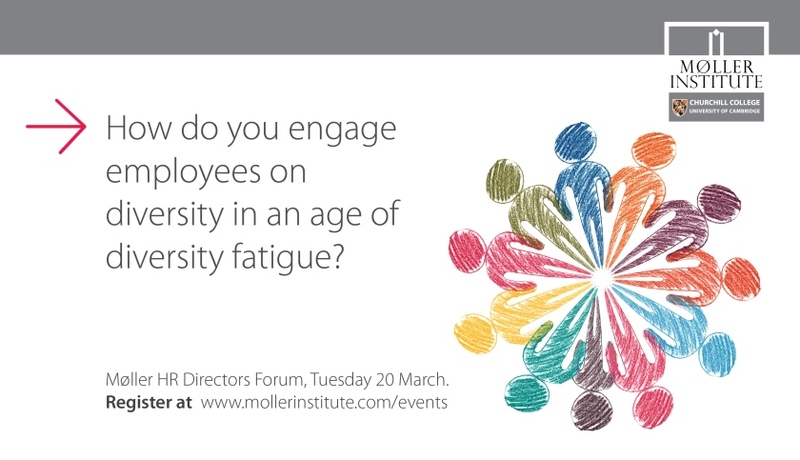 We will also posed the question – How do you engage employees on diversity in an age of diversity fatigue? In today’s environment HR Directors are tasked with creating initiatives to increase the diversity of their workforce. The traditional solutions of training and awareness seminars are failing to move the diversity needle forward. 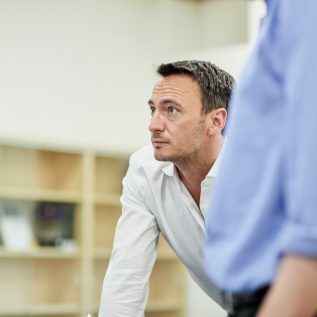 This has created a pressure point for HR Directors who are expected to solve what is a complex and nuanced issue, from both C Suite and employee groups. December 2017 – The case for mindfulness and resilience in the workplace: interventions and outcomes. This session inspired delegates to become more mindful and resilient themselves and become more able to promote mindfulness and resilience within their organisations. This forum focused on Personal and Organisational Resilience and Mindfulness and was chaired by Cathy Butler, Director of Programmes, and led by Møller Associate Dr Javier Marcos, supported by Michael Chaskalson, one of Europe’s leading mindfulness trainers. This session focused on Coaching and Leadership Interventions, exploring how organisations can ensure they get value from leadership development and coaching. In partnership with the Danish UK Chamber of Commerce around 30 Danish senior leaders met at the Møller Centre for their quarterly Human Resource Forum to discuss ‘Operating in dynamic complexity.’ As a member of the Danish UK Chamber of Commerce Advisory Board, the Møller team provided leadership development content for the Forum which included a session from Møller Senior Associate Sudhanshu Palsule exploring ‘Leading Change in an uncertain world.” Senior leaders from some of Denmark’s largest organisations including LEGO; Scandinavian Airline Systems; Novo Nordisk UK Ltd and Schneider Electric attended the Forum and also heard a case study from Lone Jacobson, Analyst Relations Director at Schnieder Electric on their Thought Leadership Journey. Case Study: Schneider Electric presented by Lone Jacobsen, Analyst Relations Director – Extracts from Schneider Electric’s Thought Leadership Journey. 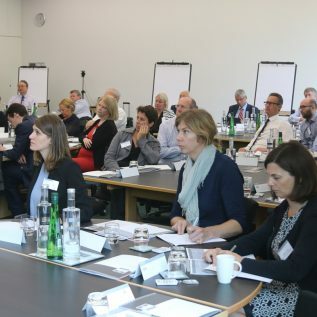 Led by Møller Partners Ruth Berry and Des Woods this forum focused on the HR role in maximising the effectiveness of leadership of high performance teams, and the importance of purpose in leading organisations and the concept of ‘invisible leadership’.